It all began with two young families who wanted to do something to help foster children. They started putting items together to give to children who, through no fault of their own, had been put in the situation of having to leave home and had no possessions to call their own, which would comfort and help them with their basic needs during an unbelievably stressful time in their young lives. More friends and families started to join in and collect items to donate, and Backpacks 4 SA Kids was born. 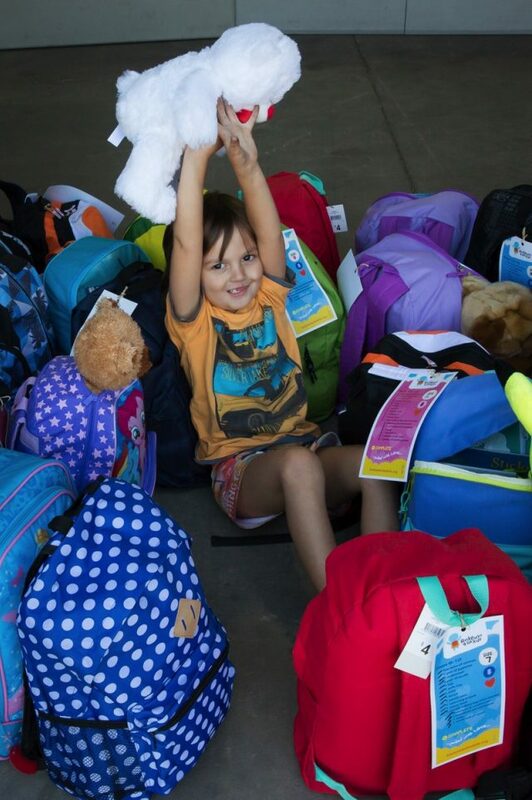 From this initial dream, with the motto ‘doing it for the kids’, Backpacks has grown from a few packs organised in Rachael’s carport to an organisation that assists over 3,000 South Australian kids every year, and we are still growing. With the addition of the Home Starter Packs Anchor Packs and our Christmas Gift Drive, we now assist approximately a further 5,000 vulnerable children and young people each year. You don’t know me, but I had to leave home because I believe my husband was going to kill me. My children watched time after time, while he hurt me in so many ways and the effect this has had on my children has broken my heart and I honestly didn’t think we could ever be happy again. I was finally strong enough to leave and we had to stay in a very small motel room and to leave we had to pretend we were going to the shops so we didn’t have anything with us. My children are 4 and 6 and very active so you can imagine the challenge of staying in a small room has caused us, mainly because I’m too scared to leave our room. Our case worker came with backpacks for each of the kids and some basic toiletries etc for me and I wish I could show you the kids’ faces. They were miserable and scared until they received their backpacks and as they emptied the backpacks they were really smiling, I heard laughter I haven’t heard in a long time and I felt I could take a deep breath and get myself ready to start again. I just wanted to let your team know, what you are doing does make a difference and I am so thankful for everything you have given us.